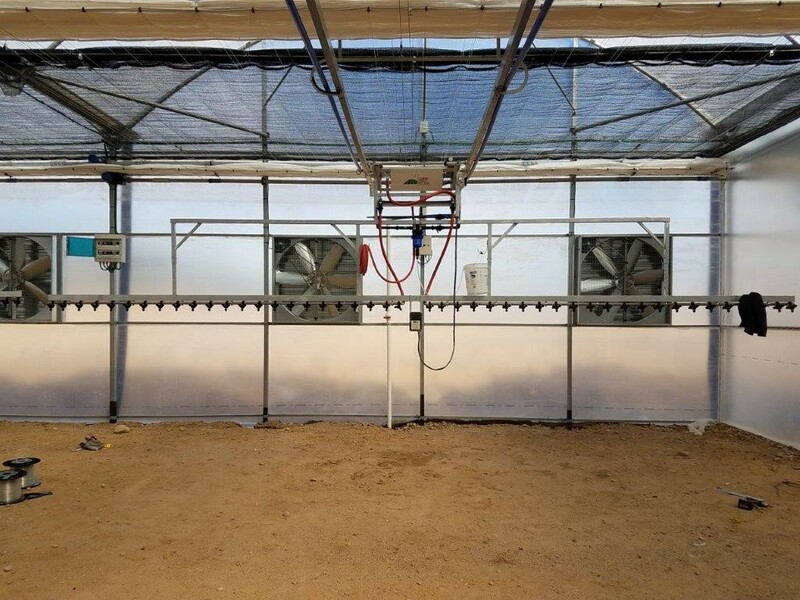 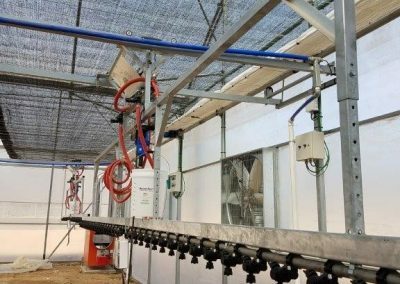 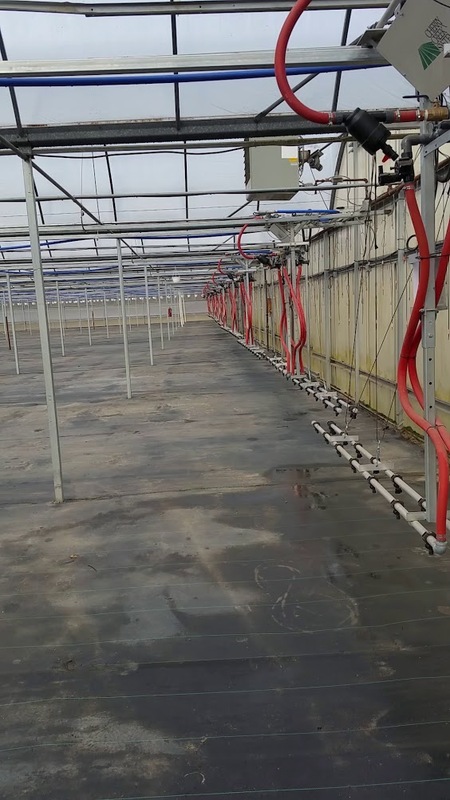 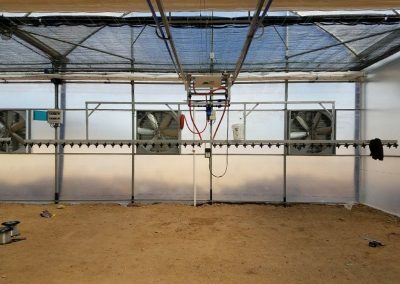 With the ability to irrigate the left or the right side completely independently of one another, this automatic waterer for greenhouses has full control over every application. 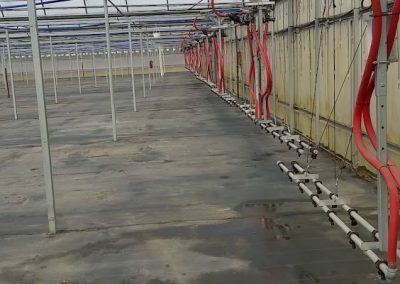 With the stability of running on two rails, boom sway is eliminated. 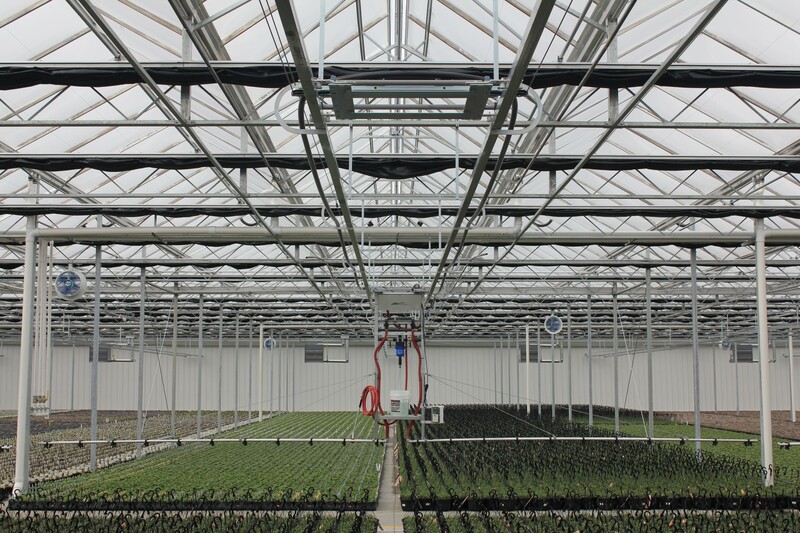 "Offers more versatility, while still keeping efficiency in mind"
Recommended maximum length of 420 feet. 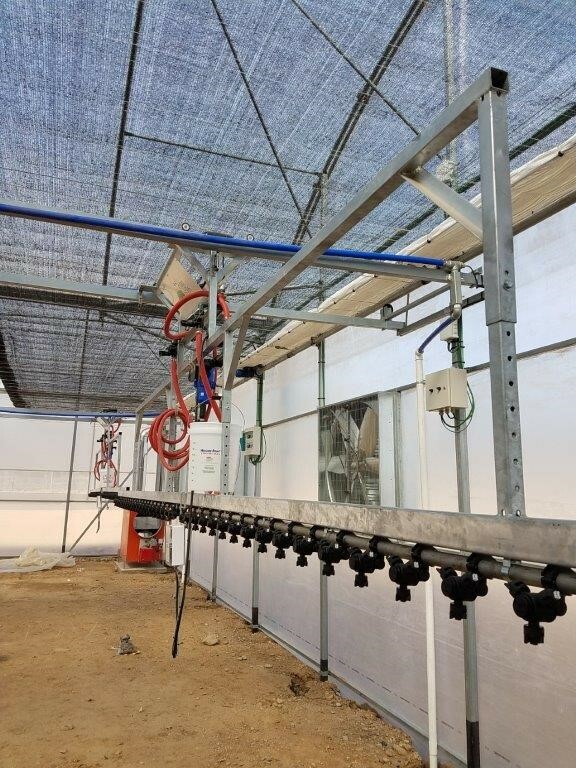 The central frame design of a double rail boom irrigation system allows for the ability to have a center walkway down the length of the bay. 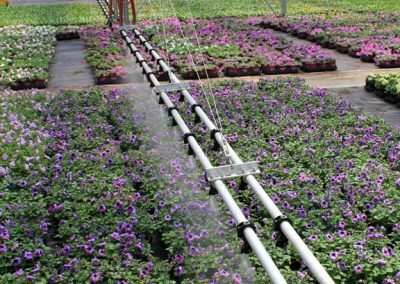 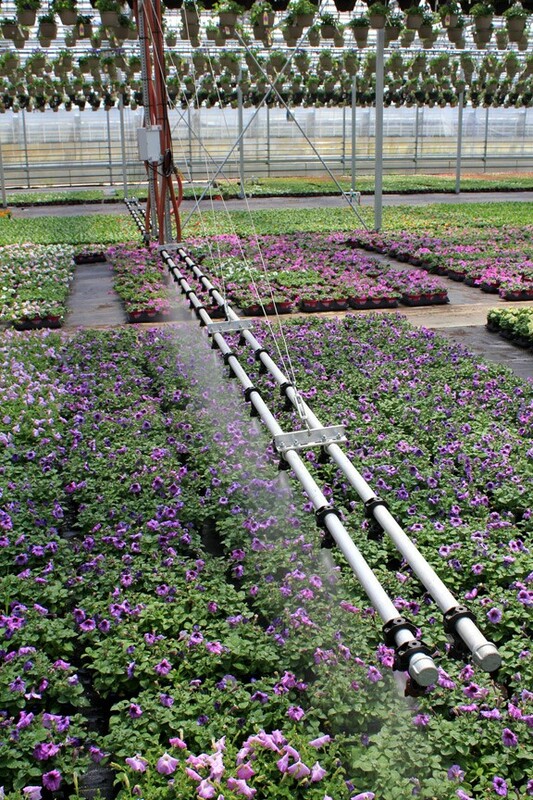 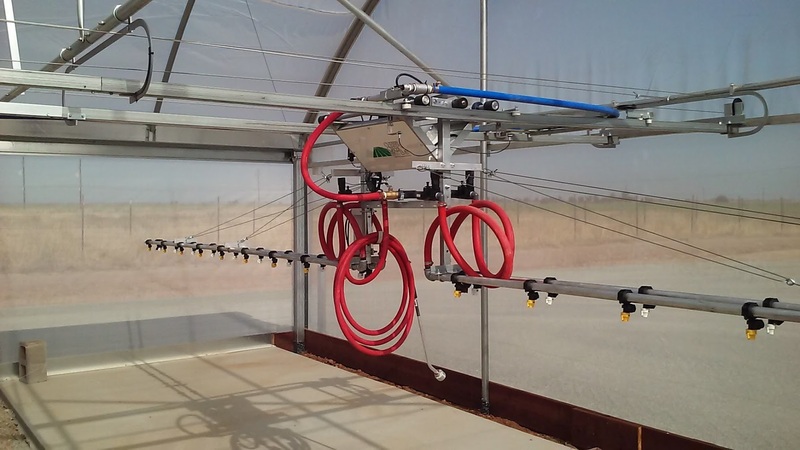 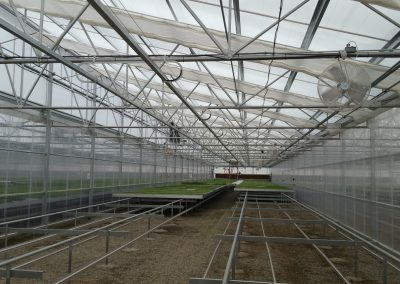 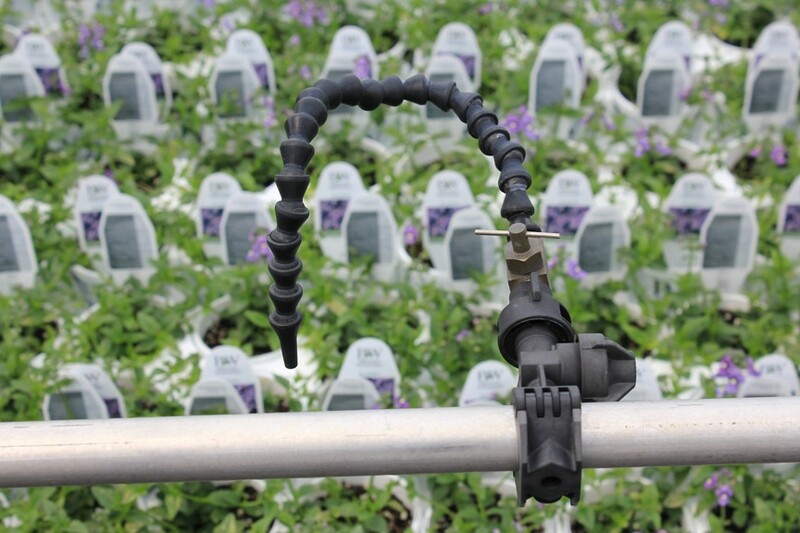 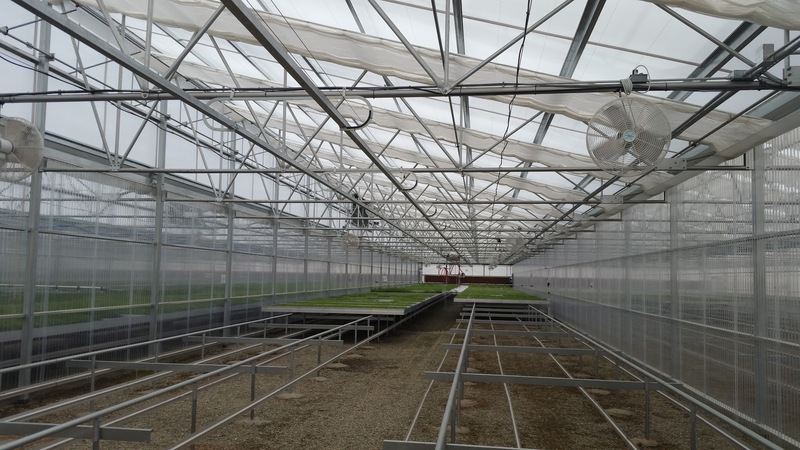 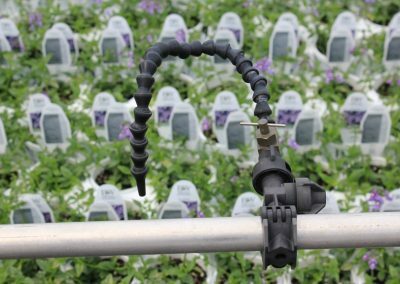 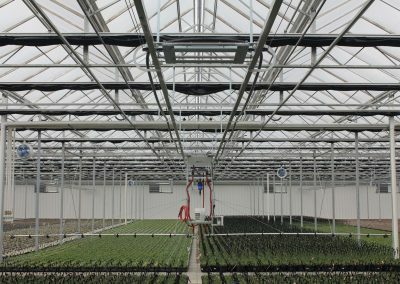 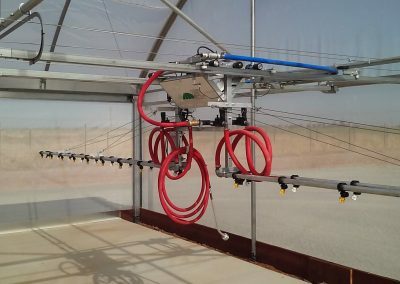 When combined with Cherry Creek’s Network Irrigation Controller, the Double Rail Boom will handle the most complicated of greenhouse irrigation requirements, while assuring the precise application of fertilizers and chemicals.